Curious For Great Craft Beer in Manitoba Eh? Red Racer is Canada’s local craft brewery and committed to working with partners across Canada. With products like the Across The Nation Collaboration that bring Red Racer together with great Manitoba breweries like Half Pints Brewing Co. and Torque Brewing Co., Red Racer collaborates on locally inspired brews available across Canada. Looking to find an award-winning Red Racer beer near you? 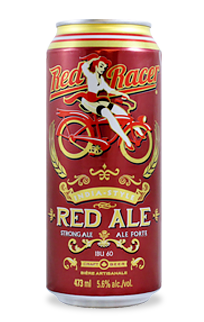 Look for a selection of Red Racer brews from your local Manitoba Liquor Mart!